English National Ballet is delighted to take part in this year’s World Dance for Parkinson’s Day on 29 April 2018. In collaboration with seventeen organisations and artists working across fourteen countries, we’ll be celebrating the diversity and impact of Dance for Parkinson’s programmes across the globe. Join in on the day, using the hashtag #WDFPD. Parkinson’s affects more than 10 million people in the world. A growing body of peer-reviewed scientific research from the United States, Canada, Germany, Japan and England suggests that participating in a Dance for Parkinson’s programme improves short-term mobility, balance, coordination, and walking for people with Parkinson’s, as well as supporting social inclusion, positive mood and confidence. At English National Ballet, we know that dancing is a great activity, both physical and mental: no matter how you move, dancing resonates deeply on intellectual, social and emotional levels. It really enriches lives: check out our videos about Dance for Parkinson’s to see how positively it impacts the participants. 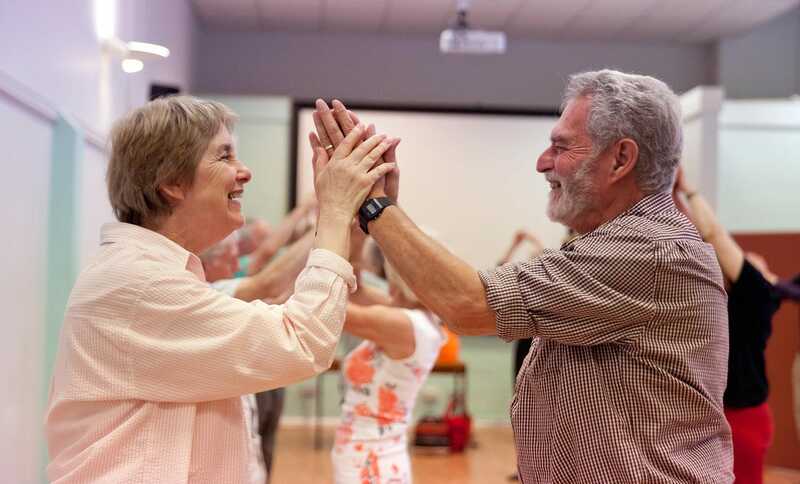 We have been running dance classes for people living with Parkinson’s and their carers since 2010. Classes are delivered in London, and nationally in collaboration with regional hub partners: National Dance Company Wales based in Cardiff, DanceEast in Ipswich, MDI in Liverpool and Oxford City Council. Find out more about our classes here. Follow the hashtag #WDFPD on Sunday 29 April 2018, and join us on Sunday for World Dance for Parkinson’s Day. You can read more about all the participating Dance for Parkinson’s programmes, from India to Italy, here.